No historical article on radio would be considered complete if it did not include some of the events leading up to the human race’s first deliberate transmission and reception of radio waves. Hence since radio is based on electricity our journey must begin in ancient times with discovery of the peculiar spark producing properties of amber when this material was rubbed on a piece of cloth or fur. Similarly, knowledge of the magnetic attraction in loadstone, which dates back to the days of the ancients, was an epochal event; inasmuch as both these “accidents” were responsible for the later discovery and refinement of electrical laws and principles, which served as the foundations on which “radio” was eventually built. While no exact dates are available, historic references to the phenomena surrounding amber and loadstone date it as far back as 600 BC. In that era it is said Thales discovered the mysterious sparks (today known as static electricity) which resulted from rubbing the mineral amber. Since the Greek word for amber is “electrum” it served as the basis for a new word - electricity when the experiment was repeated many centuries later so that more could be discovered about its cause and effect. During the long interim, strange and fantastic superstitions were conceived concerning static electricity and magnetism. The philosophers of the early days theorised quite a bit, but did very little experimenting; and what was known was handed down from generation to generation with elaboration and no attempt of justification by, at least, trial-and-error experiments. Consequently, we find such fallacies, based more on hearsay, as “garlic odour destroys the magnetic properties of a loadstone or compass.” This myth lasted through the early centuries right up to 1544, when the famous treatise on Physics by Philip Melanchthon included mention of it. After that numerous controversies sprang up, pro and con, until 1646 when it received its death blow from Sir Thomas Browne. This astute physician-scientist refused to take anybody’s word for it, and actually performed experiments with magnetised iron and “garlik juice” – thus definitely disproving the centuries-old superstition. Similarly numerous theories were created concerning amber and diamonds; among them the most notable being that iron rubbed with a diamond became a magnet, and that diamonds when rubbed would attract pieces of paper and particles of dust. Another English scientist, Dr. William Gilbert, outraged at what he termed “chattering of barbers”, undertook to disprove these theories by actual experiment. 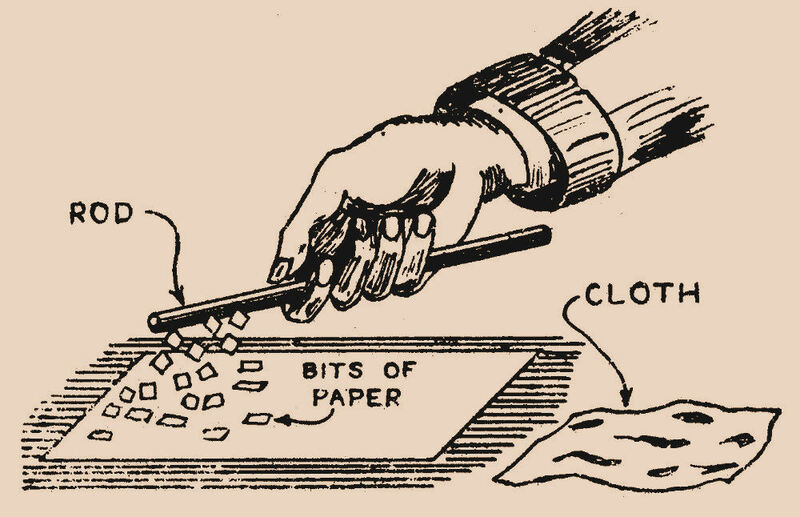 To his discomfiture, he found that rubbing diamond did cause them to attract pieces of paper; but he discovered also that practically everything he rubbed, except metals, became “electrified”. This led Gilbert to compile a huge list of materials which could be “electrified”, including such items as “true and imitation jewels, sulphur, sealing wax, rock salt, alum, resin”, etc. It was this gentleman who gave the term “electric” to the effect, and later on, in 1675, Robert Boyle, in his “Mechanical Production of Electricity”, coined or derived the word “electricity” from it. More important, however, is Gilbert’s invention of the ‘electroscope”, which he probably used to test the various materials listed in his lengthy compilation. Also, he too set a precedent by conducting actual experiments before publishing scientific information, refusing to accept hearsay as fact. With the beginning of electricity came a new era in scientific research; from then on scientists resorted to trials and testing to confirm their theories. The mysteries and superstitions of the ancients were dispelled back into the darkness. 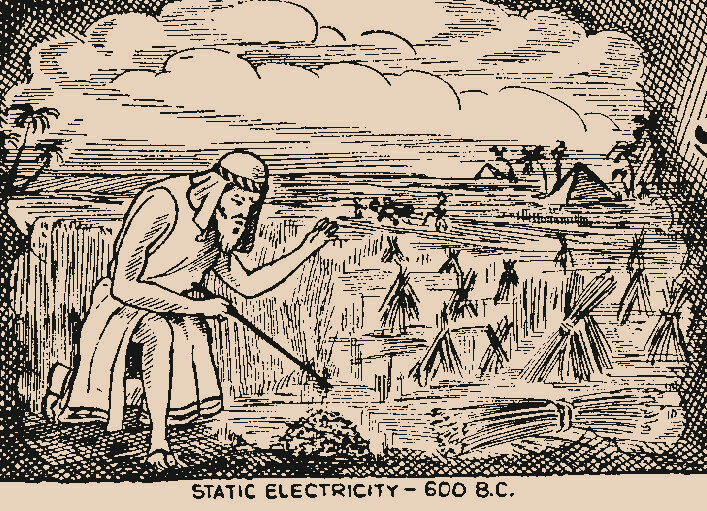 Electricity was born and new fields were open for conquest. Perhaps that is why Gilbert is referred to by some as the “Father of Electricity”. In any case, since this period marks the inception of scientific electricity, because of the gradual elimination of rumours, guesswork and superstition, the chronology begins with the date 1600. Without question however, some scientific work of importance in this field was reported earlier but will not be covered here. 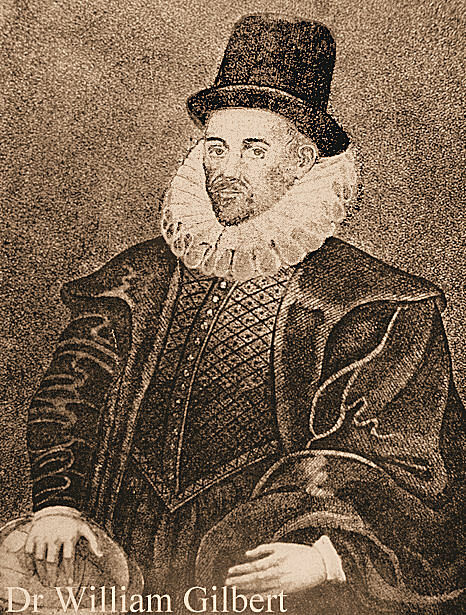 1600 DR WILLIAM GILBERT, physician to Queen Elizabeth, and scientist. 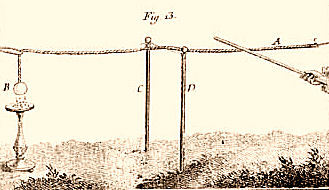 Invented the “electroscope”, consisting of a straw which was pivoted like a compass needle, and which indicated the approach of a charged body. Disproved many myths and compiled a list of materials which could be electrified by rubbing. Coined the word “Electric”, from the Greek root for amber – “Electrum.” Conceived the earth as a huge magnet, with magnetic poles and a magnetic force around it – thus laying a positive foundation for many scientific discoveries to come later. The unit of Magnetomotive Force was named in Gilbert’s honour. 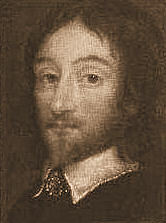 1646 SIR THOMAS BROWNE, English physician and author. Performed many experiments with the loadstone and magnetism, refuting many idle superstitions by actual trial. Tried to make the first “wireless” by employing two compasses with the alphabet written about them (although credit for the idea must be given to a predecessor, one John Baptista Porta). He imagined that if the two needles were magnetised together, then separated, the turning of one to indicate some letter of the alphabet would cause the indicator on the second dial to move to a similar position; thus envisioning a means of communication without any intervening medium. The second compass needle, however, did not budge from its North-pointing position, remaining he said “like the Pillars of Hercules”. Nevertheless, the thought of communicating between persons over a distance, previously more or less a figment of the imagination that inspired very few people in the centuries before, now became an intriguing thought in the minds of many scientists of that time. 1672 SIR OTTO VON GUERICKE, German burgomaster (similar to a town mayor) of Magdeburg. Famous for the “Magdeburg experiment”, with which he proved atmospheric pressure, and entertained king and princes. Built an “electric” generating device of a globe of sulphur mounted on an axle and turned by a crank. The globe was rubbed by the dry palm of the hand, as it rotated and, after some little friction, became sufficiently electrified to attract particles. This machine was only a generator of static electricity. While experimenting with this device, he discovered that the particles after they had been attracted, would shortly thereafter be repelled. Today we know that the particles assumed a like charge to that of the sulphur ball and, when this condition occurred, the particles were repelled because “like charges repel each other”. But, unaware, the burgomaster was in fact laying the foundation for our knowledge by chasing a feather around the room with a heavy globe of sulphur in his arms. One day while in pursuit of the feather he noticed that it was repelled by a lit candle on a table, and then “flew back to the sulphur globe as a sort of guard”. Von Guericke suggested human attributes were the reason for the feather’s behaviour when, in reality, he had observed electronic emission (the basis of operation of the later to be invented electron tube or valve) without knowing it. Nearly three centuries passed before anyone learnt more about this phenomenon. Unlike Von Guericke we know what really happened to the feather was that its charge was dissipated and had its polarity changed by the electron stream emitted by the candle and, consequently, was now attracted to the globe which had repelled it before. 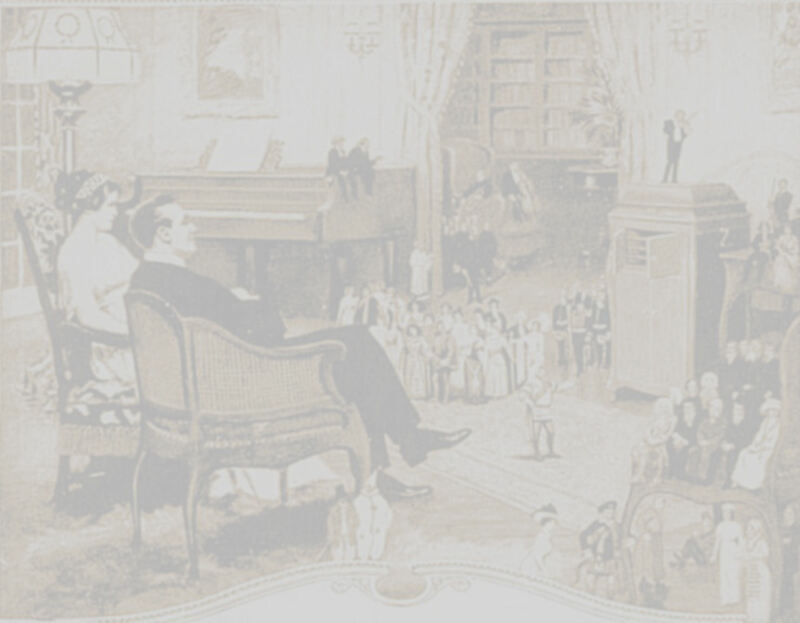 His experiments resulted in further discoveries but, as with all pioneering work performed having little or no background, satisfactory explanations for some of the phenomena he encountered were not available. He heard and saw the tiny discharges, which resulted when he generated static electricity with his globe, but didn’t associated them with lightning and thunder. That discovery was left to Benjamin Franklin and his kite seventy years later. 1729 STEPHEN GRAY, Englishman. By experimenting with charged bodies, Gray discovered the effect and the differences of what we now know as conductors and insulators, as regards conveying or transmitting charged impulses. Also about this time, DUFAY, a Frenchman, conducted similar experiments but along more elaborate lines. He, evidently, was familiar with Gray’s accomplishments because his work seemed to be in the line of proving or disproving Gray’s discoveries. In the course of his experiments he found that metal wires or wet objects were the best conductors, though the most difficult to electrify, while those easiest to electrify were the best insulators of his charged impulses. In fact he built a line, a quarter-mile long (400 metres), which consisted of wet thread held up by glass tubes and determined that it was an excellent means of conveying a charged impulse from one end to the other. This was probably the first transmission or electric line and so was an important discovery. About this time Dufay also laid down the basis of the vacuum tube (although he didn’t know it at the time) when he discovered that if one of two spheres was heated, a current carrying path was formed between them.